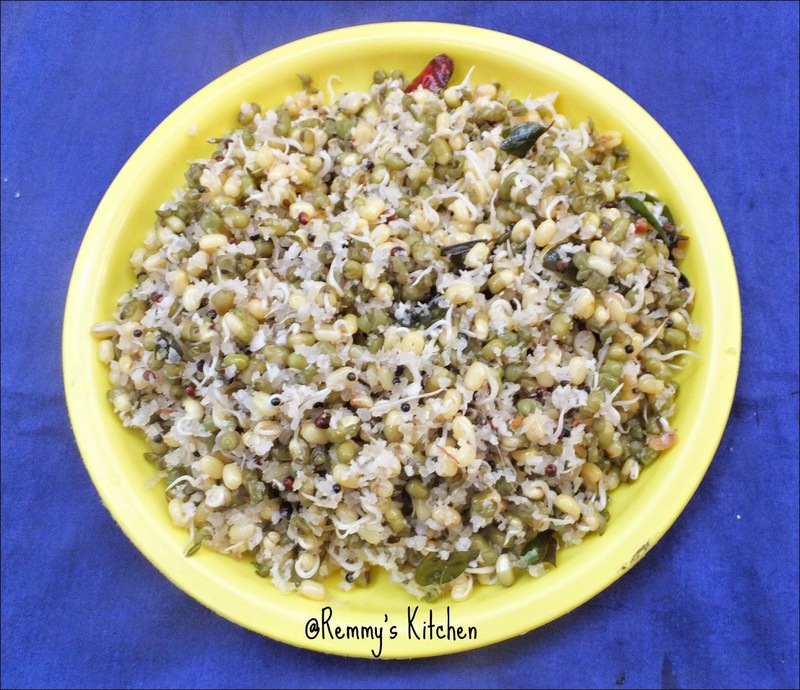 A healthy after school snack for kids..I used to Sprout green grams but unfortunately both my hubby and kid don't eat it in raw form.So I used to prepare sundal or fried rice with it. Sprouted green are rich in anti oxidents, minerals and vitamins.It is a low caloric food so highly recommending for weight loss diet. 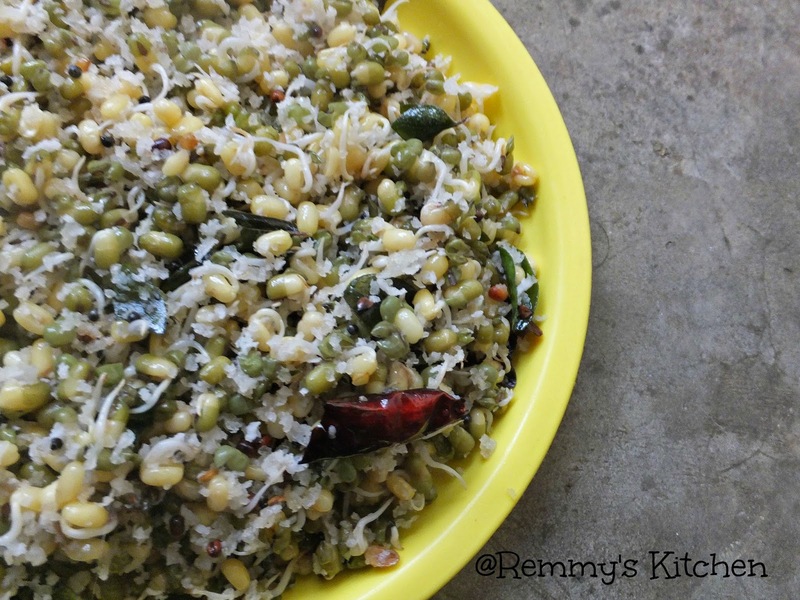 Add mustard seeds let it splutter.Now add black gram,dry red chilly curry leaves and chopped green chillies. Now add sprouted green gram and mix it well.Wait for 2 seconds and switch off the flame. If you dont like the raw taste keep the sundal in low flame for few minutes and stir occassionally.But this method is not healthy. Yum to the simply flavors, Sprouts are also healthy. That's a tempting preparation and healthy as well. Now I have nominated you for the versatile blogger award..
Pls check and happy blogging. 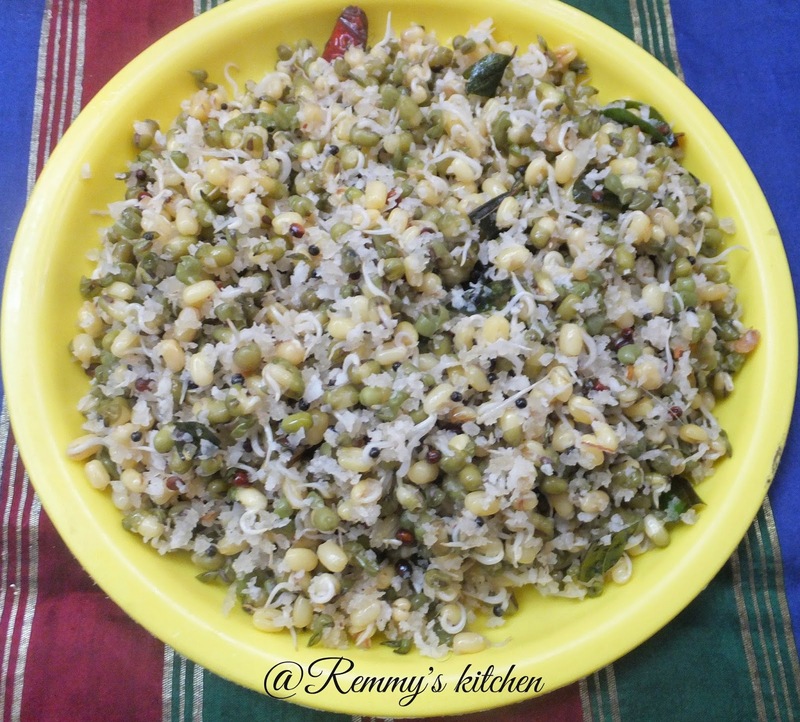 Nice recipe of sprouted beans, i make it in a different way.